Another superb short hole played from an elevated tee. 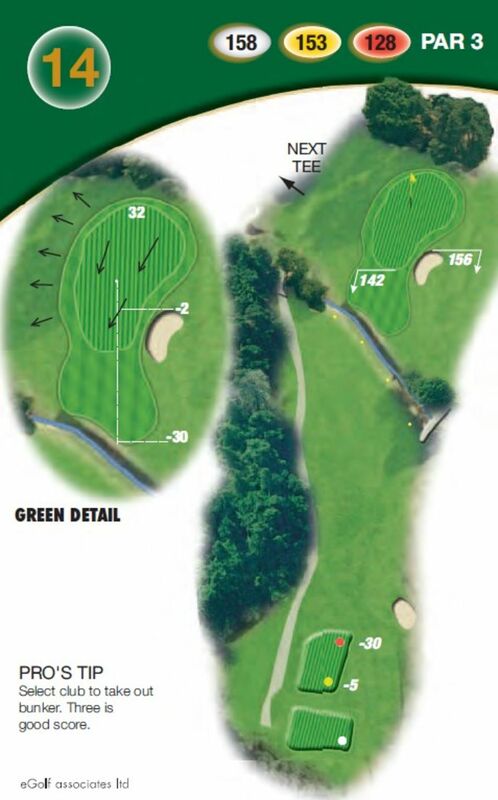 Make sure you have enough club here as your tee shot has to carry the brook, avoid the large bunker on the right hand side and the run off on the left. The green is very large and slopes from back to front with some very subtle slopes and borrows. A great par 3. Select the club to take the bunker out of play. Three is always a good score here.